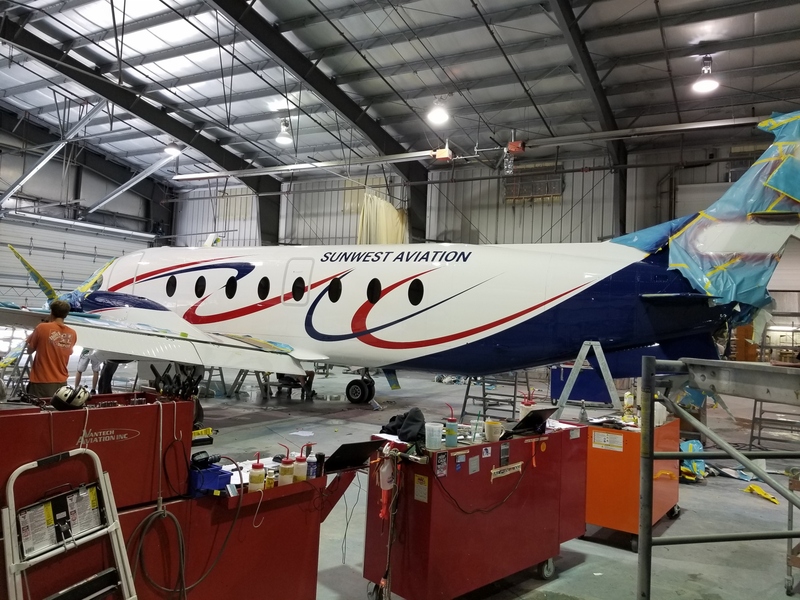 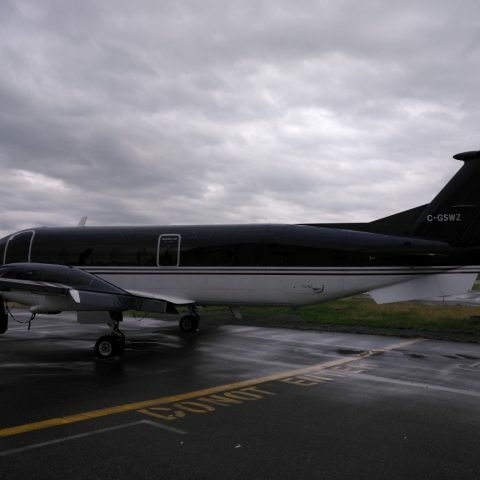 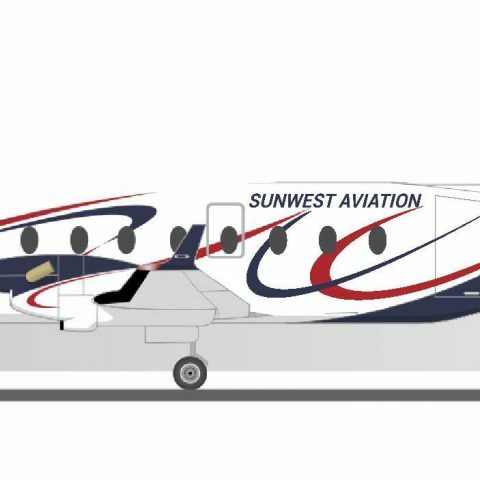 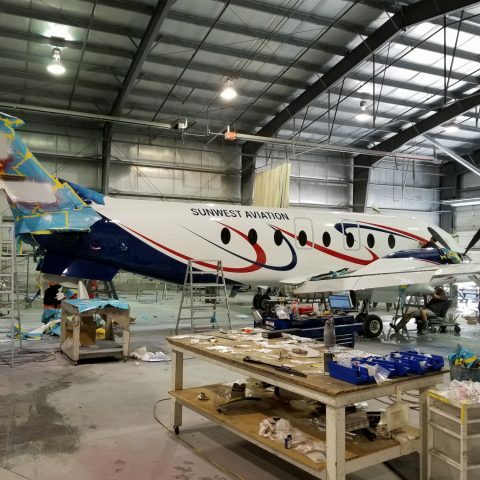 This is our fourth aircraft from Sunwest, and another beautiful scheme chosen by this client. 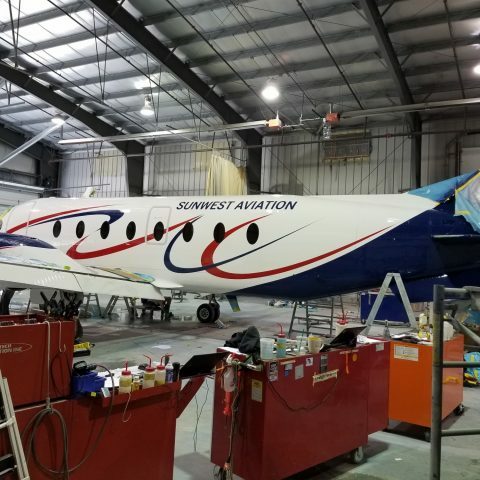 We were all very pleased with the end result and Sunwest was as well. 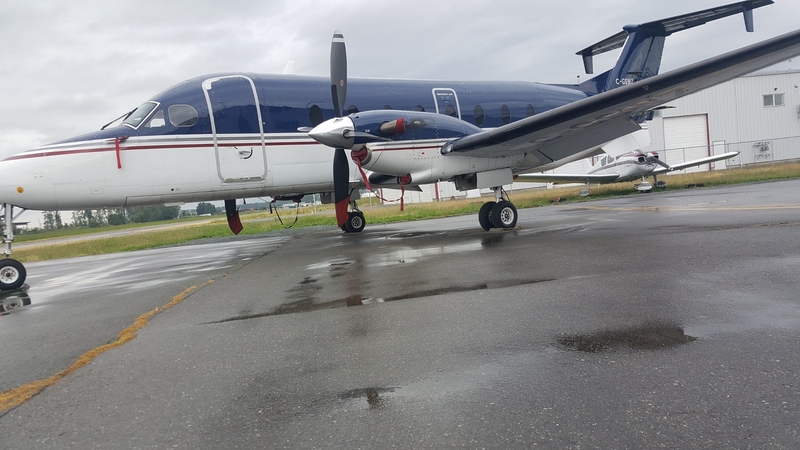 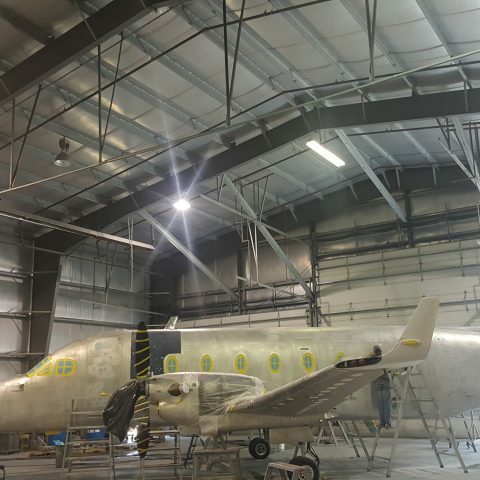 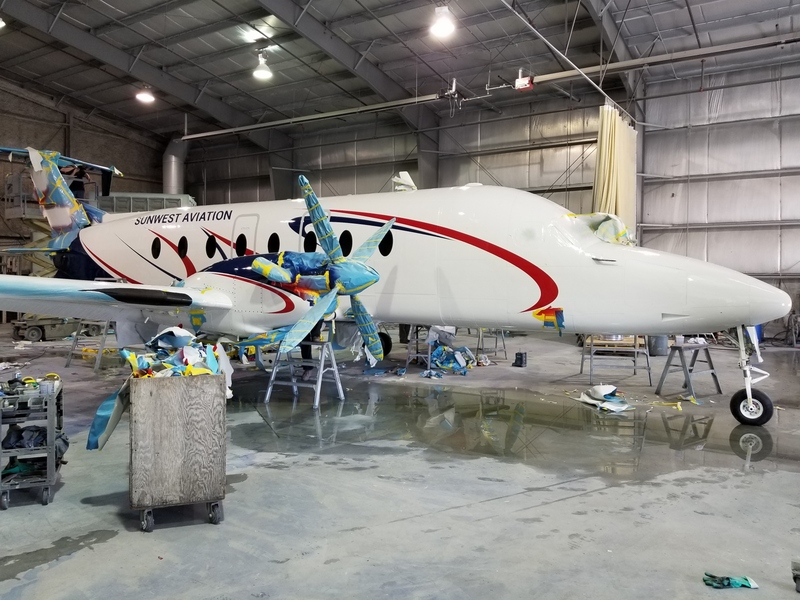 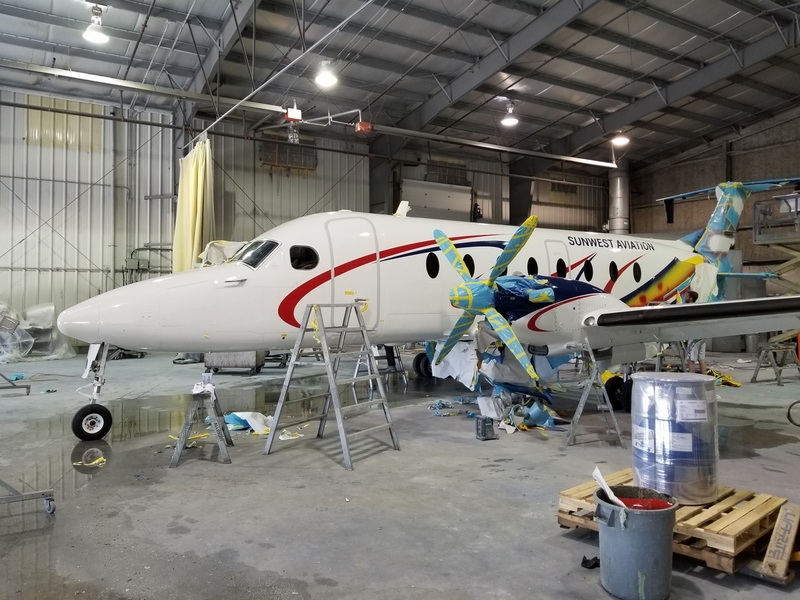 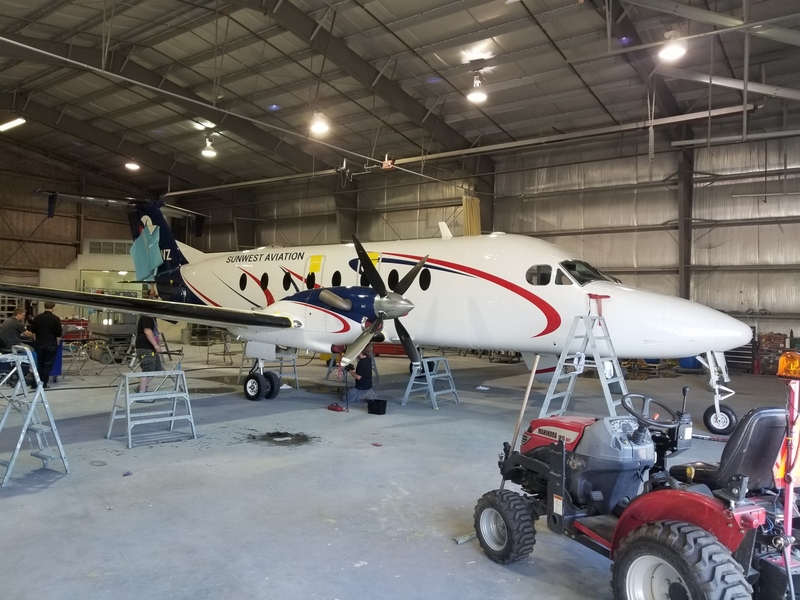 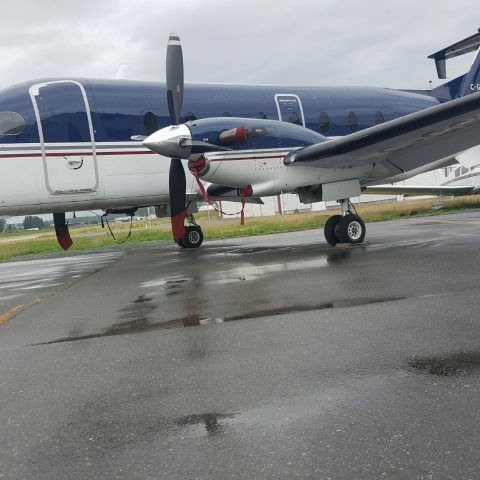 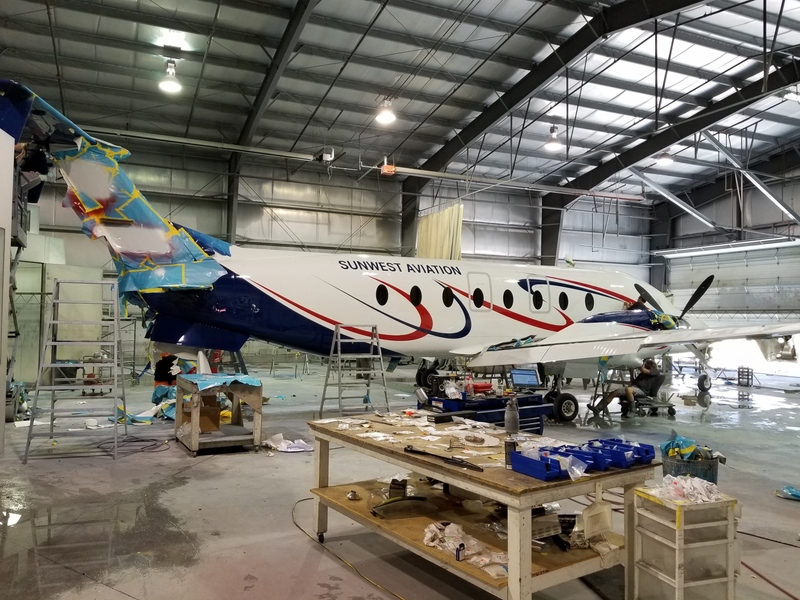 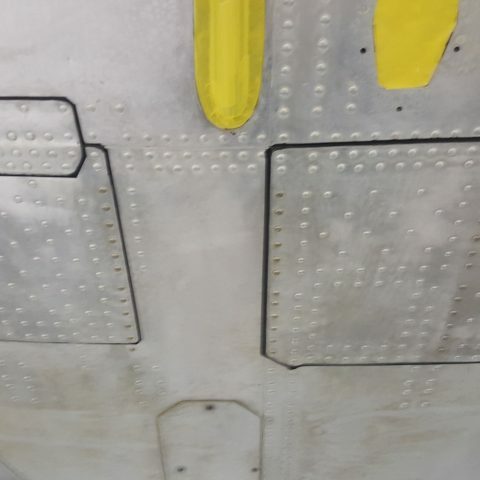 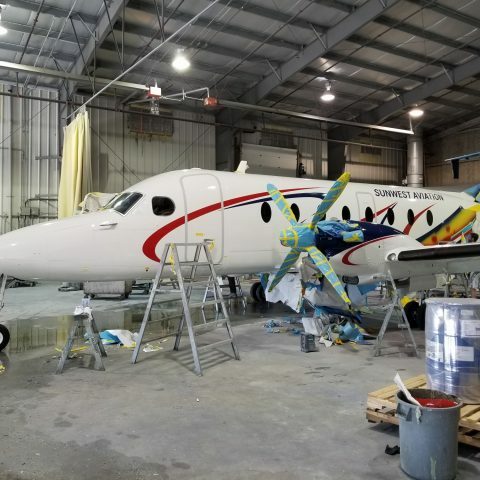 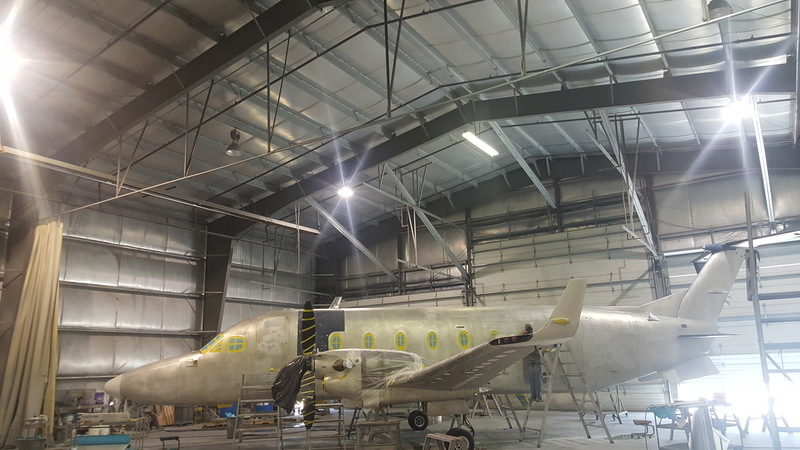 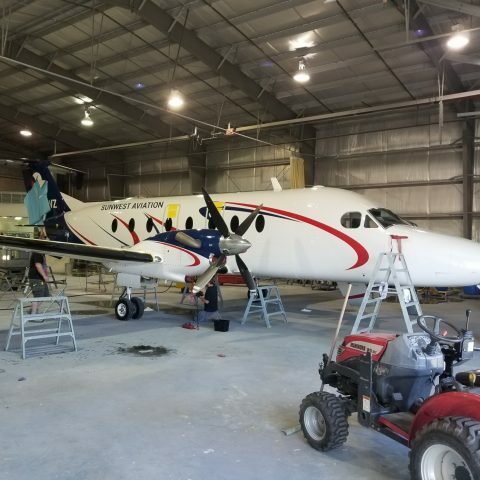 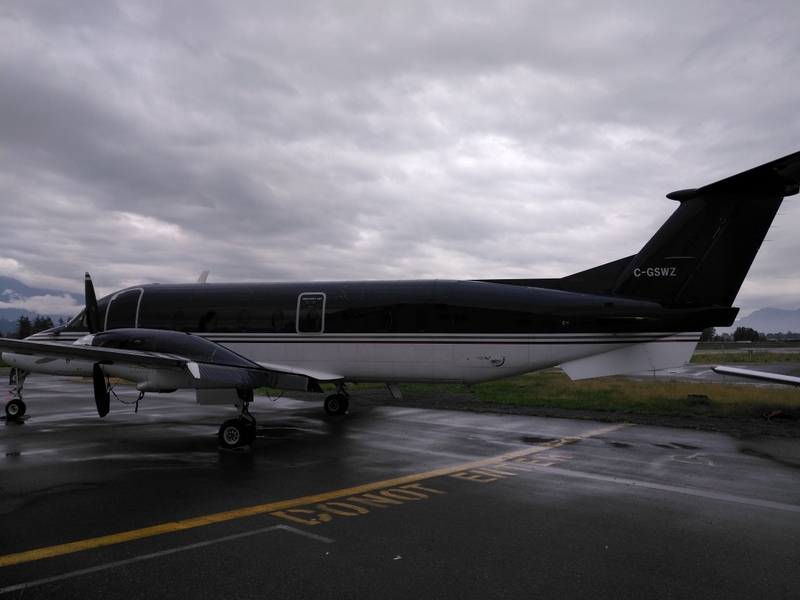 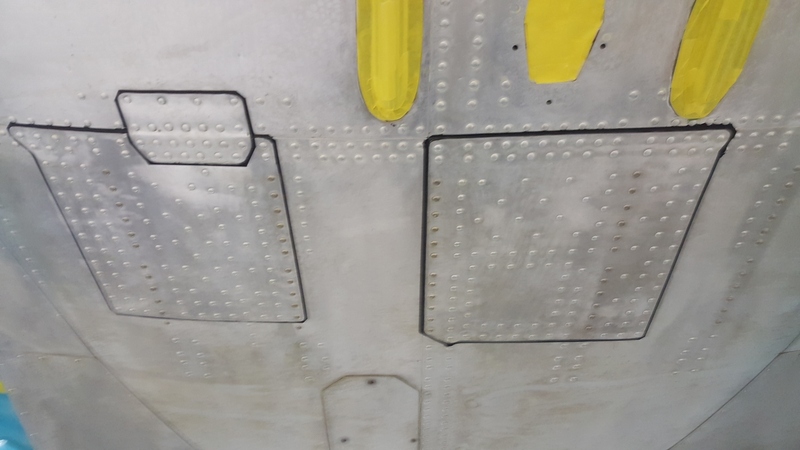 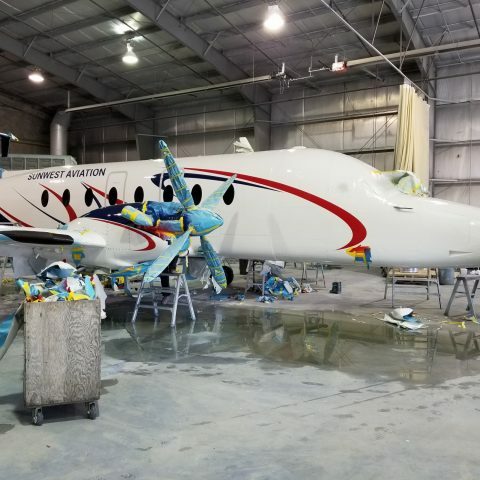 This Beech 1900D paint was fairly routine with some minor structural repairs and typical hardware replacement.